What about combining a visit of Taormina with our Sicilian style cooking class at local restaurant? Discover the secrets of Sicilian traditional cuisine and recipes together with our skilled and nice restaurant staff. Get immersed into everyday life with a walk to the local market where our chefs will lead you among flavours and taste to select fresh ingredients for your cooking class. Vegetables, fish, herbs, a real plunge into Sicilian lifestyle! Then, straight to our restaurant, positioned at the foot of a small alleyway besides the Cathedral of Taormina, to start our hands-on cooking class. Diners enter first a splendid courtyard full of green vegetation and the fragrance of flowers. The internal part of the restaurant is equally warm and welcoming. The cuisine is based on simple and traditional Sicilian recipes which have been revisited by the chefs. Creative dishes of homemade pasta combined with the fresh vegetables in season, both first and second courses are an explosion of flavours, fragrance and Mediterranean colours. The menu is varied using the local typical products in season. Learn the secrets of the Sicilian culinary tradition and challenge yourself on cooking home-made macaroni, typical appetizers/side-dishes and other recipes! Lunch will follow with wine tasting. After lunch, meet your English speaking guide for a visit of the ancient Greek Theatre and a pleasant walk to discover local gems. The Cinquecento – how Italians call it – was produced by the FIAT car company of Itay between 1957 and 1975 to meet the demands of the post-war market which called for economy cars. Despite its diminutive size, measuring only 3 metres (~10 feet) long, the 500 proved to be an enormously practical and popular vehicle throughout Europe and is considered one of the first city cars. 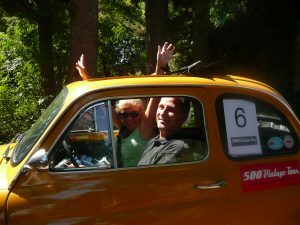 On board of our Fiat 500 you will enjoy a scenic drive along the coastline of Giardini Naxos, the first Greek colony in Sicily and to Castelmola, one of the most beautiful borgo in Italy. This is self-driven tour by you can decide to ask for one of our driver. 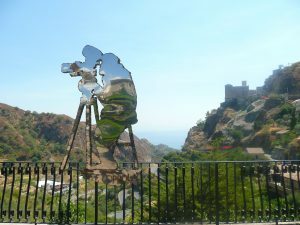 Located 3 km north of Taormina, Castelmola derives its name from the Norman castle dominating over the center of town and from the shape of the rock on which it stands, which vaguely resembles a millstone (“mola”). A natural balcony above Taormina, the view from Castelmola is dazzlingly beautiful: from here one can see, among a myriad of prickly pear cactus, the majestic Mt. Etna with towns clinging to its slopes, the Ionian coast, the gulf of Giardini-Naxos, the Cape of Sant’Alessio, the straits of Messina and the Calabrian coast. Tiny streets cross and meet in the main square, revealing the medieval town. Doors and windows are framed in the stone of Taormina, and the colors of houses vary from ocher to beige to antique pink, the sloping roofs are still covered with “Sicilian style” clay tiles, the street signs, the house numbers and shop signs are in stone and wrought iron. Bar Turrisi nonchalantly displays its wooden and ceramic phalluses, in an surreal atmosphere that welcomes locals and foreigner of both genders. Stop here to taste a glass of their unusual almond wine. 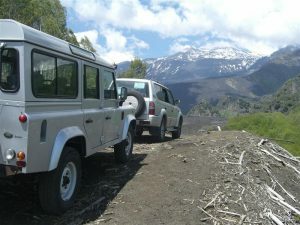 Etna Safari is an exciting excursion out of the mass route along “the realm of Vulcan, the god of fire” by jeep to live with an adventure attitude. The itinerary is a combination of traditional road and off-road tracks, with several interesting stops along the way: you will visit one of the most recent lava cold flows, dating back to the huge eruption of 2002-2003, experience an easy and safe speleological descent into a lava grotto and a light trekking along the extinct craters of Sartorius Mounts. Rate per person in Eur 440 303 235 195 170 n.a. n.a. Mt Etna is definitely one of the most exciting wine destination worldwide. The land around Mt Etna is a large area extending from the furthest slopes of the volcano to its peak. The cultivation grapevine has always played a fundamental role in the area. It dates back to several centuries ago and over the years has typical feature of this area, being a source of income to those inhabitants who have settled at the foothills of the volcano and symbolize the strong human determination to enhance a steep and wild soil which seems to be inapt to be exploited by man. The magnificent terracing realized with stone walls is only an example. These terraces are real works of art whose extraordinariness makes them rare in the world and admired both by Italian and foreign visitors. Nerello Cappuccio is another important Etna variety and some experts believe it is genetically linked to Carignan. 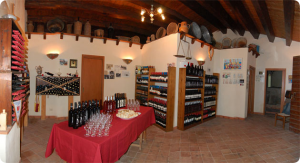 You will visit three different boutique wineries in the area. The Mamertino is one of the three oldest wines in the world which is still under production. Its history is old and fascinating and goes back to 289 b.C. when the Mamertini, the local inhabitants of the Tyrrhenian area of Sicily settled on the hills around Milazzo and cultivated fine vines from which it is possible to produce different varieties of Mamertino. According to historians, Imperator Julius Ceasar chose it to toast to his third consulate in 46 b.C. as it as his preferred wine, later quoted on De Bello Gallico (Commentaries on the Gallic War),his firsthand account of the Gallic Wars. The Roman geographer Strabo declared the Mamertino one of the bet wines of the time. In 2004, the Mamertino received the DOC denomination. Our daily journey will take us to the valley of the Mela river, to visit the best Mamertino winery in the area. The family-run estate covers hectares of vineyards along the surrounding hills. Ageing occurs in the cellar located in the ancient farmhouse dating back to the middle of the ‘700 century. High quality wines defined by authentic flavours are produced respecting environment and traditions to please the most demanding international clientele. All wines are organic. The journey will follow to Milazzo to visit the historical district with the steps leading to the Arab-Swebian Castle, one of the largest in Europe in terms of size. 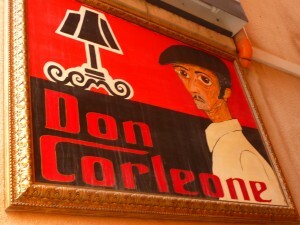 This is a not to miss excursion for all movie lovers and fans of The Godfather trilogy! The mafia issue is such a delicate problem for Sicily: one of those prejudice unfortunately diffused all around the world that sometimes seems to work against Sicily and the credibility of its population. We believe that intelligence, culture and understanding together with a good deal of irony may help people from all over the world to appreciate Sicily and Sicilians and go beyond prejudice. The Godfather is widely regarded as one of the greatest films in the world cinema and as one of the most influential, especially in the gangster genre. The Godfather I won three Oscars that year: for Best Picture, Best Actor (Marlon Brando) and in the category Best Adapted Screenplay for Puzo and Coppola. Its nominations in seven other categories included Pacino, James Caan and Robert Duvall for Best Supporting Actor and Coppola for Best Director. The film also won five Golden Globes out of seven nominations. The trilogy was partially filmed in Sicily and many scenes took place around Taormina area. Since the village of Corleone was too developed even in the early 70s to be used for filming, the Sicilian towns of Savoca and Forza d’Agro outside of Taormina were used instead. The village of Savoca is the home of the famous bar Vitelli where Michael Corleone asked Apollonia’s hand in marriage and of the church of the wedding. The nearby village of Forza d’Agrò was the set of many scenes of The Godfather III (1990) the epilogue of the trilogy where the Corleone family takes a vacation to Sicily in preparation for Anthony’s operatic debut in Palermo. The icing on the cake? An exclusive visit to the private manor-house located in the countryside of Fiumefreddo where Micheal Corleone/Al Pacino married Apollonia his first Sicilian wife who then got killed by the famous explosion of the car in its courtyard. The owner, a member of the Sicilian aristocracy, still lives here together with his wife. He will personally welcome our guests, show them around and enrich the visit with several first-hand anecdote and entertaining stories about the filming and the cast. The villages of Forza d’Agrò and Savoca are listed among the most beautiful small villages in Italy, all enjoy dazzlingly beautiful views and a the charm of Medieval villages. Located on the lower peak of a small mountain, Forza d’Agrò has featured as the backdrop in a number of films, such as The Godfather trilogy due to this lack of recent development. Much of the town consists of traditional buildings and stone paved lanes that are impassable by car. Its historical centre still offers narrow and winding streets , small and old buildings which go back to the XIV and XIX century, piazzette (small squares) and suggestive scenic views. It was under the reign of Count Ruggero the Norman and his successors that the Castle of Forza D’Agrò was built on the higher peak that overlooks the town where nowadays only the remains are to be found. Savoca seems to derive from the name for the elder tree (in local dialect “savucu”) that once grew spontaneously in this area. A twig of the elder tree is depicted in the medieval emblem of the village. The village welcomes the visitor with streets paved in basalt blocks of lavic rock, the restored houses with their roofs in Sicilian tiles, portals and windows made frome local stone, the elegant façades that offer the colours of the ancient Savoca. Ruins, narrow streets and cisterns dug into the rock give the place its special charm. One of the famous sets of the Godfather trilogy was the Bar Vitelli, housed in Palazzo Trimarchi, an eighteenth-century palace. Stop here to taste the traditional lemon granita. It is worth visiting the catacombs, where up until 1876 corpses were mummified using ancient Egyptian methods.